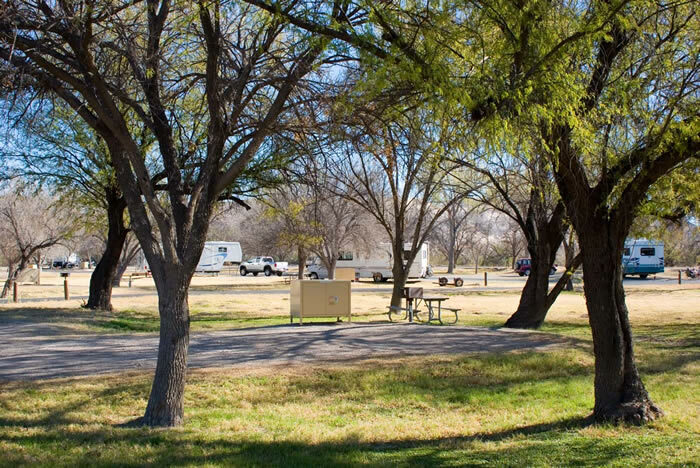 Set in a large grove of cottonwoods, the campground is adjacent to the Rio Grande. Elevation-1,850 feet. 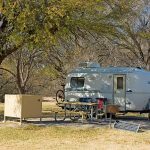 $14 per night ($7 per night for bearers of applicable passes). 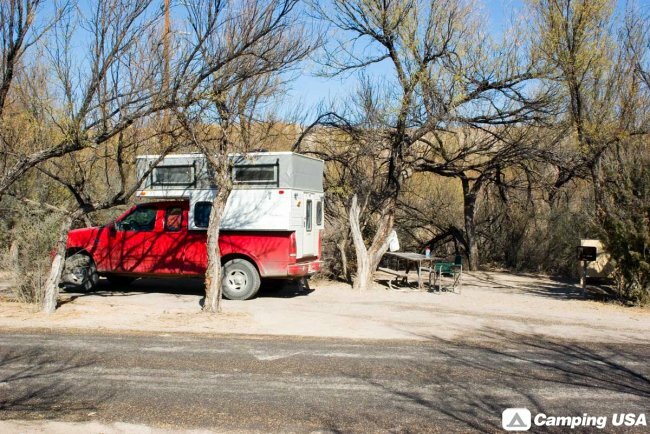 This 100 site campground has flush toilets, running water, picnic tables, grills, and some overhead shelters. Dump Station nearby; NO HOOK-UPS. 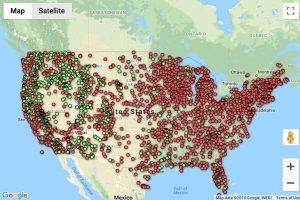 Reservations for 43 sites may be made November 15 to April 15. 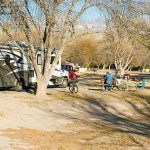 Reservations can be made through recreation.gov or by calling 1-877-444-6777. 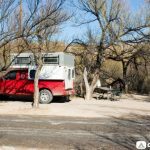 Big Bend National Park cannot make reservations. 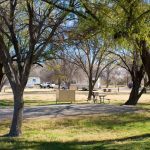 The Rio Grande Village Campground has four group camp sites that are available only by advance reservation. 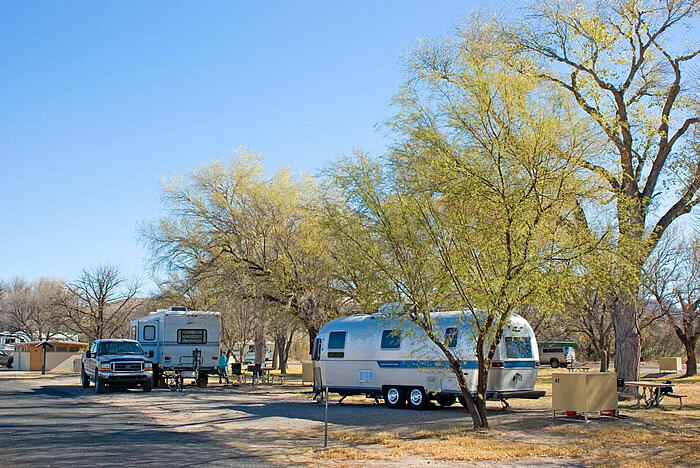 The total overnight occupancy for the Rio Grande Village group campground is 120 persons. 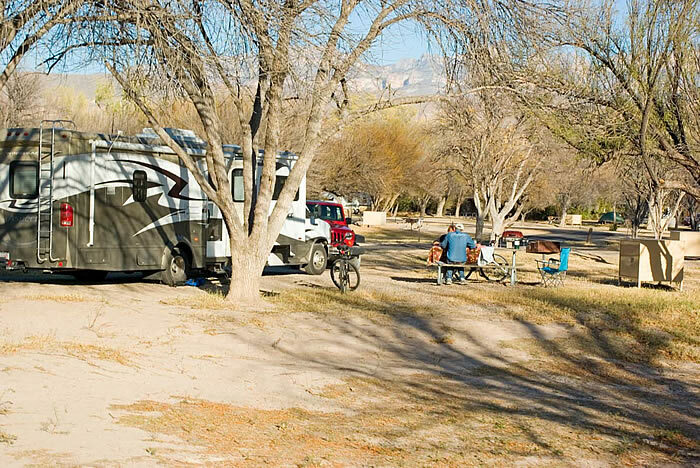 All sites in this campground have a minimum occupancy of 9 persons. Sites A and B comprise the area on the east side of the comfort station. Maximum occupancy for each site is 20 persons. Sites C and D comprise the area on the west side of the comfort station. Maximum occupancy for each site is 40 persons. This group campground is walk-in tent camping only. Vehicle parking is restricted to an adjacent parking area. 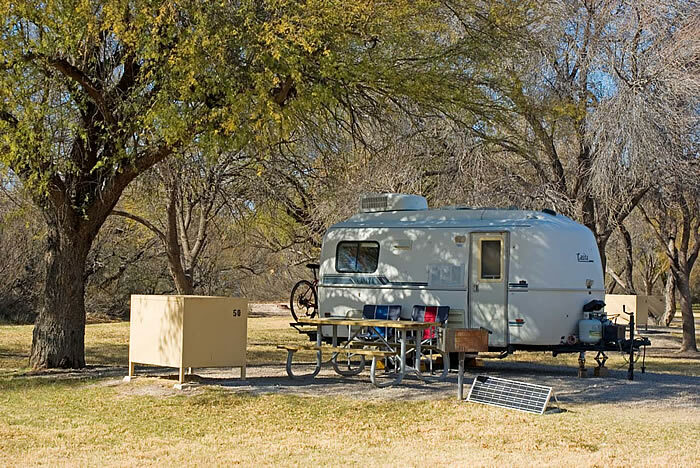 To reserve a group campsite, contact recreation.gov or call 1-877-444-6777. 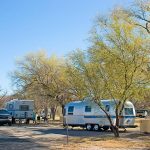 Big Bend National Park cannot make reservations.